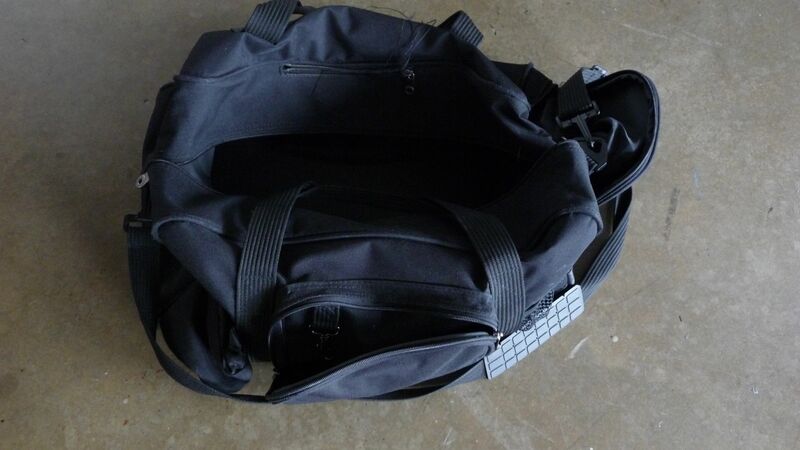 December 30, 2010 – Workout bag. | What I got rid of today. ← December 29, 2010 – Buddha box. December 30, 2010 – Workout bag. As many of us get closer to our New Year’s resolutions, and so many of those are to work out more…I thought it’d be a good time to RID an extra workout bag I own. Not really a lot more to say about this one. Now, I’m done sitting around blogging for today. Gotta get out there. This entry was posted in STUFF for STUFF, Uncategorized. Bookmark the permalink.